Why use SMS Comparison.com before selecting a text message provider? Finding the right American SMS company for your business isn’t always an easy task. Complicated pricing models, product features and a complex SMS messaging mobile network can be confusing. To help businesses in the US, SMS comparison takes the latest information from providers’ websites and puts it into straightforward, easy-to-read comparison tables. At SMS Comparison simply navigate from the homepage to the type of service you require from SMS Gateway USA providers to Bulk SMS. If you’re not sure what type of business SMS provider suits you, simply view our blogs (such as this one) or visit any of our pages and you will see a detailed explanation of the service and who it is suitable for you. SMS Comparison is not owned by any American SMS providers. The site is run and owned by Americans with commissions only made only when you choose a provider. These providers were chosen prior to any deals to ensure you find the best provider based on products and value. We never ask for your personal information on our site and send you to the providers site once you have selected your preferred plan. We appreciate your support and always welcome questions and feedback. There are many different requirements US businesses have when it comes to using text messages. These range from in-house communication, to alerts or marketing to customers and clients. To help your business find the right provider there are eight comparison tables that have been formulated. A description of each is detailed below. Most companies have large-scale databases and CRM platforms. Utilising this information to send targeted messages at influential times to only key segments is possible through a text message gateway. The key to a good SMS gateway provider is the ability to easily integrate your existing platform with current contact lists in a reliable manner. To learn more, click here. Sending mass communication through SMS is one of the best ways to communicate to a large audience due to the high open rates of text messages. The key is to choose a text message provider that can deliver high volume text message demands within a short time-frame. Cost, deliverability and reliability are the key elements compared in this table. USA businesses also have the ability to use a variety of numbers, such as short code, which enables customers to simply opt-in and opt-out as necessary. More than ever, businesses rely on text messages to communicate to their customers and clients. They also rely on SMS for verification (e.g. Banking) which means a provider with near perfect up-time and instant deliverability. The ‘high end’ business text message providers were compared in this section that comply with CAN SPAM ACT and other best practice for messaging guidelines. There are hundreds of occupations that lose money when customers miss appointments, from dentists, to mechanics, to personal trainers. With text message open rates being almost 100%, finding a provider which can help automate personalised reminder messages can dramatically reduce cancellations. The providers with the best in-built appointment reminder features were compared on this comparison table. Many businesses with non-critical communications via text messages just want to communicate in the most cost-effective manner. Based on the concept of a non-critical and non-time sensitive requirement, the cheapest SMS providers were compared here. The ability to send SMS alerts and communication via e-mail (such as Outlook or Gmail) is a feature provided by a number of American SMS providers. These top providers with strong features were compared in this table. As discussed in our recent article, in 2019, communicating to new and existing customers is one of the growing segments of text message communication. Choosing a provider with in-built SMS marketing functionality that is easy to use can maximise this communication channel. The top text message marketing providers were chosen and compared on this comparison table. The ability to send multiple text messages from your computer quickly were compared on this final table. Price, features, customer service and deliverability were all considered when selecting the American providers in this section. There are a number of features that should be looked at when reviewing SMS providers for your Business SMS needs. The detail list and comparisons between different American and some overseas providers can be reviewed from the SMS Comparison Table presented in various sites. A brief outline of three quality features worth exploring are presented below. 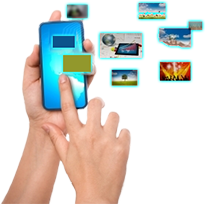 Within the area of Business SMS there are numerous text messaging service providers in USA. The matter of identifying which providers offer the right features for your needs can be viewed in a tabulated format with one of the SMS Comparison Tables available. When researching and selecting a provider that can offer you the right Business SMS facilities, you must look at their extensive service including Web SMS, Email to SMS, SMS API, SMS marketing, and more. Reliability connections are always an issue so the need for safe and secure access and direct onshore telecommunications carrier connections which can provide guarantee delivery and transparency in their reporting system. Of course, expert and highly responsive support, service quality and price on the market are part and parcel of your selection process. One of the major SMS solutions for any Business SMS is to have the best and efficient online SMS platforms allowing thousands of American businesses to set up, send and manage all aspects of their SMS communications from any computer, anywhere in USA and world-wide. Whether it is sending a single text message or a campaign of thousands, a web SMS application is needed that will provide a reliable, safe and uncomplicated SMS communication solution for any Business SMS. One of the solutions that support Business SMS is to provide email to SMS facility that allow you to use your existing email provider or take advantage of a provider’s integration with a particular platform. Businesses can write an email, and have it sent and delivered automatically to all mobile contacts. This way, you can be assured a solution for any Business SMS requirements. A business will also have the ability to use different phone numbers, including short code, and virtual. SMS text messaging is one of the most widely used data applications, with billions of active users and utilised by 90% of all mobile phone users. Therefore, for a Business SMS opportunity, this SMS (short message service) is a vital component of all mobile networks, telecommunication systems, and the World Wide Web. Business SMS is a very effective and efficient way to enable mobile phone devices to exchange short text messages between company and customer. There are other facilities that would also be advantageous to Business SMS, including, the facilitation of a text-to-voice conversion that can also be sent to landlines. With such a large widely used data application, businesses must take advantage of SMS services communication effectiveness as business and marketing instrument, whether it is targeted to youths or adults, or for personal, social or business reasons.